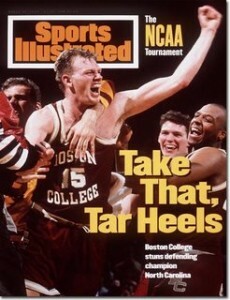 The 1994 Boston College Eagles ended a string of 14 consecutive Sweet 16 appearances for the UNC Tar Heels. One of the many reasons that fans love March Madness is an underdog team managing to pull together a series of unlikely victories to help ruin someone’s bracket. With that in mind, I have created the 50 most memorable NCAA tournament runs in recent history. Every single run that is represented in this list is from 1979 through the present, since seeding was first used back in the 1979 tournament. A team did not have to make it to the Final Four or win the national championship just to get mentioned on this list. The more surprising the run they made, the higher the team is. The “Phi Slamma Jamma” made three consecutive Final Fours from 1982 through 1984, but their appearance in 1982 was a surprise. As a #6 seed in the Midwest Regional, the Cougars defeated Alcorn State, then higher seeds Tulsa and Missouri, and beat fellow Cinderella Boston College in the regional final. The Cougars would lose in the Final Four to eventual national champion North Carolina. The Rams became the first Atlantic 10 team to reach the Sweet 16, as the East region’s #11 seed knocked off Missouri and Syracuse, thanks to guard Tom Garrick’s combined 57 points in the two victories. Rhode Island narrowly missed advancing to the Elite Eight as they lost in the Sweet 16 to Duke, 73-72. In just their fifth season of basketball, the Blazers made it all the way to the Elite Eight. The tournament field had 48 teams from 1980 through 1984 and since they were a #4 seed, UAB got a first round bye, but had to face defending national champion Indiana in the second round. Led by guard Oliver Robinson, the Blazers defeated the Hoosiers 80-70, then shocked #1 seed and player of the year Ralph Sampson 68-66, to advance to the regional final where their run came to an end at the hands of the Louisville Cardinals. Iowa finished fourth in the Big Ten during the regular season, but got on a roll in the tournament thanks to the return of guard Ronnie Lester who missed 15 games because of an injured knee. 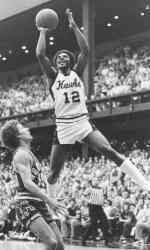 Ronnie Lester led the Iowa Hawkeyes to the Final Four before reaggravating a knee injury. Lester helped lead the 5th seeded Hawkeyes to wins over Virginia Commonwealth and N.C. State in the first weekend, then helped Iowa upset the#1 seed Syracuse Orangemen 88-77, to go to the East Regional Final where they defeated Georgetown 81-80, with Steve Waite’ game-winning three-point play with five seconds left to secure Iowa a trip to the Final Four. But disaster struck for the Hawkeyes when Lester re-injured his knee in their semifinal game against Louisville. Iowa would lose that game 68-60, then drop the third place game to Purdue to finish fourth place in the tournament. 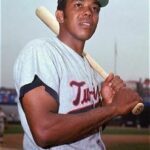 The Braves made it to the Sweet 16 for the first time since 1955, when they defeated Kansas and Pittsburgh in the first weekend of the 2006 tournament, before falling to top-seeded Memphis in the next round. Bradley became only the fourth #13 seed to reach the Sweet 16. The 12th seeded Cardinals were one of many teams that enjoyed a thrilling run in the 1990 tournament. First, they defeated 5th seeded Oregon State, led by Gary Payton, with a three-point play as time expired when Paris McCurdy was fouled on his game-tying basket, then hit the winning free throw. This was followed by another close upset win, this time over the #4 seed Louisville 62-60 to advance to the Sweet 16 where they faced top-seeded UNLV. Ball State had a chance to win or send the game into overtime, but could not get a shot off as time expired, and lost a heartbreaker 69-67. Chattanooga only won two NCAA tournament games in their history, and they both came in the 1997 tournament. The Mocs became only the second #14 seed to advance to the Sweet 16 with upset wins over Georgia and Illinois, before they fell to fellow double-digit seed Providence in the Southeast Regional Semifinals. The Shockers lived up to their nickname as they made a surprise run to the Elite Eight. After an easy win over Southern University in the first round, the 6th seeded Shockers overcame a 15-point second deficit to pull off a 58-56 victory over third-seeded Iowa, with Randy Smithson making the game-winning free throws with five seconds to go. In the Sweet 16, Wichita State faced off with intrastate rival Kansas for the first time since 1955 and pulled off a 66-65 win thanks to two long-range jumpers from Mike Jones to advance to the Elite Eight, where the Shockers were knocked off by top-seeded LSU. At the end of January, the Musketeers stood at 10-9 and unlikely to make it to the NCAA tournament. But the Musketeers won nine of their last 10 regular season games, then won the automatic bid for the Atlantic 10 tournament, which included an upset over undefeated #1 St. Joseph’s. As a #7 seed in the South regional, Xavier defeated Louisville, Mississippi State, and Texas to reach the Elite Eight for the first time in school history, but ending up losing the regional final to top-seeded Duke, 66-63. As a #2 seed, Kentucky’s championship run is not considered as a Cinderella story, but it is the way the Wildcats won their final three games is what makes their run remarkable. After easy wins over South Carolina State, St. Louis, and UCLA, the Wildcats faced with off #1 seed Duke in the Southeast Regional Final. Kentucky overcame a 17-point second half deficit to knock off the Blue Devils and advance to their third straight Final Four, where they overcame double digit deficits against Stanford and Utah to win their second national championship in three years. 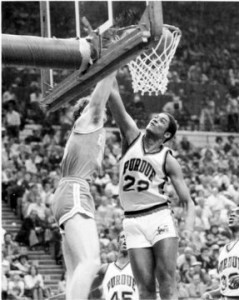 Joe Barry Carroll had a monster NCAA Tournament to lead Purdue to the 1980 Final Four. The 6th seeded Boilermakers joined fellow Big 10 rival Iowa in the 1980 Final Four, thanks to center Joe Barry Carroll. JBC averaged 26.5 points and 9.8 rebounds per game in Purdue’s four wins in the Mideast regional over LaSalle, St. John’s, Indiana (which featured Isaiah Thomas) and Duke, to make it to the Final Four. Carroll was held in check in the Boilermakers’ 67-62 loss to UCLA, but rebounded with a 35-point, 12-rebound performance in Purdue’s 75-58 win over Iowa in the third place game. Four times the Owls and head coach John Chaney made it all the way to the Elite Eight as #6 seed on lower. In 1991, Temple was a #10 seed when they advance to the Elite Eight, on the back of guard Mark Macon. Temple defeated Purdue in the first round, then #15 seed Richmond in the second round, before facing #3 seed Oklahoma State in the Sweet 16 where Macon scored eight of Temple’s 17 points in the overtime period of their 72-63 victory. Macon would score 31 points in the East regional final but it was not enough as Temple fell to top-seeded North Carolina 75-72. Valparaiso became a household name when guard Bryce Drew hit a game-winning three-pointer at the buzzer to give the Crusaders a 70-69 upset win over Ole Miss in the first round of the 1998 tournament. Valpo followed this up with another dramatic win in the second round, an 83-77 overtime victory over Florida State to become the second #13 seed to ever reach the Sweet 16. That is where Valpo’s run would as they lost to Rhode Island 74-68. The #8 seeded Eagles were the surprise team of the 1982 tournament as they advanced all the way to the Elite Eight, before falling to Houston and the “Phi Slamma Jamma”. BC defeated San Francisco in the first round, before defeating #1 ranked DePaul 82-75 in the second round as the Blue Demons were eliminated in the second round for the third straight year as the #1 team in the country at the start of the tournament. The Eagles followed this upset up with a 69-65 win over 5th seeded Kansas State 69-65 in the Sweet 16, before their 99-92 loss at the hands of Houston in the Midwest Regional Final. All-American sharpshooter Chuck Person led Auburn on its most successful tournament run in 1986. The eighth-seeded Tigers dispatched of Arizona in the first round, before roundly defeating the #1 seed St. John’s Redman 81-65 to move onto the Sweet 16, where they knocked off UNLV for their first trip to the Elite Eight. Auburn would lose to eventual national champion Louisville 84-76 in the West Regional Final. The 8th seeded Wildcats helped played a part in the wildest day in March Madness history when they upset the #2 ranked Oregon State Beavers 50-48 thanks to a game-winning jumper by Ronaldo Blackman with two seconds to go, one of three buzzer beaters to occur that day. Kansas State had defeated San Francisco in the first round before their upset over the West Region’s #1 seed, Oregon State, then knocked off 4th seeded Illinois in the Sweet 16, before they lost to North Carolina in the regional final. The 10th seeded Friars almost became the second double-digit seed to reach the Final Four with their run in the 1997 tournament. After easily defeating #7 seed Marquette, the Friars shocked the 2nd seeded Duke Blue Devils in Charlotte, North Carolina, with a 98-87 win to reach the Sweet 16. Providence dispatched of fellow Cinderella Chattanooga in the round of 16, before facing off with Arizona in the Southeast Regional Final, where they overcame a 12-point deficit with 6 ½ minutes to go in regulation to tie the game and send the game into overtime. But the Friars could not pull off the win as they fell to the eventual national champion Wildcats, 96-92. The Tigers became the first and only #12 seed to reach the Elite Eight with their run in 2002. Missouri defeated Miami, Ohio State, and UCLA before falling to Big 12 rival Oklahoma in the West Regional Final, denying the Tigers from their first trip to the Final Four. The Crimson Tide barely made the 2004 tournament with an 18-12 overall record, but they the most of it with an Elite Eight run. The Tide first knocked off Southern Illinois in the first round, thanks to point guard Antoine Pettway’s game-winning lay-up with five seconds in their 65-64, which was followed by a 70-67 upset over the top-seeded and #1 ranked team Stanford Cardinal, for the Tide’s first trip to the Sweet 16 since 1990. Alabama continued its impressive run with an 80-71 win over defending national champion Syracuse to reach the Elite Eight where the Tide would fall to eventual national champion UConn, 87-71. 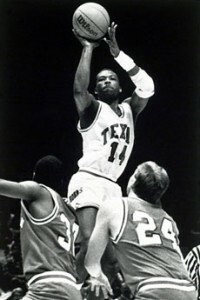 Travis Mays led Texas to the Elite Eight in 1990. Guard Travis Mays averaged 28 points per game in the #10 seed Longhorns’ run to the Elite Eight, their deepest run in the tournament since 1972. Mays scored 44 points, shooting 23-of-27 from the free throw line, in a 100-88 win over Georgia, then sank the game-winning free throws with seven seconds left in Texas’ 73-72 upset over #2 seed Purdue. In the Sweet 16, Mays scored 32 points as the Longhorns defeated Xavier 102-89, but was held to 20 points in the regional final where Texas lost 88-85 to their Southwest Conference rival, Arkansas. The Bulldogs made their first appearance in the NCAA Tournament a memorable one, by reaching the Final Four. Georgia got a first-round bye since they were a #4 seed and there were 48 teams in the 1983 tournament field, but it took a 12-foot jump shot by James Banks to get the Dawgs out of the second round with a 56-54 win over Virginia Commonwealth. Then, the Bulldogs pulled off two giant upsets the following weekend with a 70-67 victory over #1 seed St. John’s in the Sweet 16, and a 82-77 victory over defending national champion North Carolina, led by Michael Jordan and Sam Perkins, to reach the Final Four. However, the Bulldogs’ magical run came to an end at the hands of another Cinderella team, the N.C. State Wolfpack, in a 67-60 loss in their national semifinal. 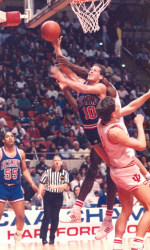 Ken Atkinson and the 1988 Richmond Spiders became the first 13 seed to reach the Sweet 16 of the NCAA Tournament. 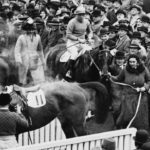 Richmond has built the reputation of a bracket buster over the years and 1988 was no exception. The Spiders became the first #13 seed to reach the Sweet 16 as they knocked off defending national champion Indiana 72-69 in the first round, then defeated fifth-seeded Georgia Tech 59-55 in the second round, before falling to #1 seed Temple the following weekend. The Owls made another surprise run to the Elite Eight in what turned out to be head coach John Chaney’s final NCAA tournament appearance. 11th seeded Temple knocked off Texas, Florida, and Penn State, before losing in the South Regional Final to defending national champion Michigan State. Chaney retired in 2006 after 24 seasons as the head coach of the Owls with five Elite Eight appearances, but none in the Final Four. In his first season as head coach of the Rams, former UCLA head coach Jim Harrick coached Rhode Island to a near-Final Four appearance. The 8th seeded Rams easily dispatched of Murray State in the first round, before shocking top-seeded Kansas 80-75 to advance to the Sweet 16 for the first time since their run in 1988. After ending Valparaiso’s fairy tale run in the Sweet 16, Rhode Island advanced to the Elite Eight where they faced 3rd seeded Stanford. The Rams blew a six-point lead with a minute to play and lost the Midwest Regional Final, 79-77. The Eagles limped into the 1994 tournament having lost two of their last three regular season games, and then were blown out in the first round of the Big East tournament by Georgetown. But the 9th seeded Eagles got on a roll as they defeated Washington State in the first round, then stunned the #1 ranked team entering the tournament, North Carolina, with a 75-72 that ended the Tar Heels’ run of 13 consecutive Sweet 16 appearances. BC then defeated Indiana and coach Bob Knight to advance to the Elite Eight, only to fall to the Florida Gators 69-60 and denying the Eagles their first trip to the Final Four.